Ethiopia’s use of sweeping anti-terrorism law to imprison journalists and other legislative restrictions are hindering the development of free and independent media in Africa’s second largest country, according to a report published by The World Association of Newspapers and News Publishers (WAN-IFRA) and the International Press Institute (IPI). Dozens of journalists and political activists have been arrested or sentenced under the Anti-Terrorism Proclamation of 2009, including five journalists who are serving prison sentences and who at times have been denied access to visitors and legal counsel. The report, “Press Freedom in Ethiopia”, is based on a mission to the country carried out in November 2013 by WAN-IFRA and IPI. The report urges the Ethiopian government to free journalists convicted under the sedition provisions of the 2009 measure. Mission delegates were barred access to the journalists, who are being held at Kaliti Prison near the capital Addis Ababa. "We call on the Ethiopian government to release all journalists convicted under the sedition provisions of the country’s 2009 anti-terrorism laws, including Eskinder Nega, Solomon Kebede, Wubset Taye, Reyot Alemu, and Yusuf Getachew”, WAN-IFRA President, Tomas Brunegård said. "Ethiopia's economic and social development is paramount to peace and prosperity in the horn of Africa and whilst the misuse of its anti-terror legislation continues, that peace and prosperity is at risk". - Recommends that Ethiopian lawmakers review laws that bar foreign investment in media, measures that inhibit the development of an economically viable and diversified market. - Urges the courts to ensure that rulings restrict press freedom only in cases of intentional incitement or clear participation in acts of terrorism, and that judges act independently to protect the public’s right to be informed about political dissent and acts of terrorism. 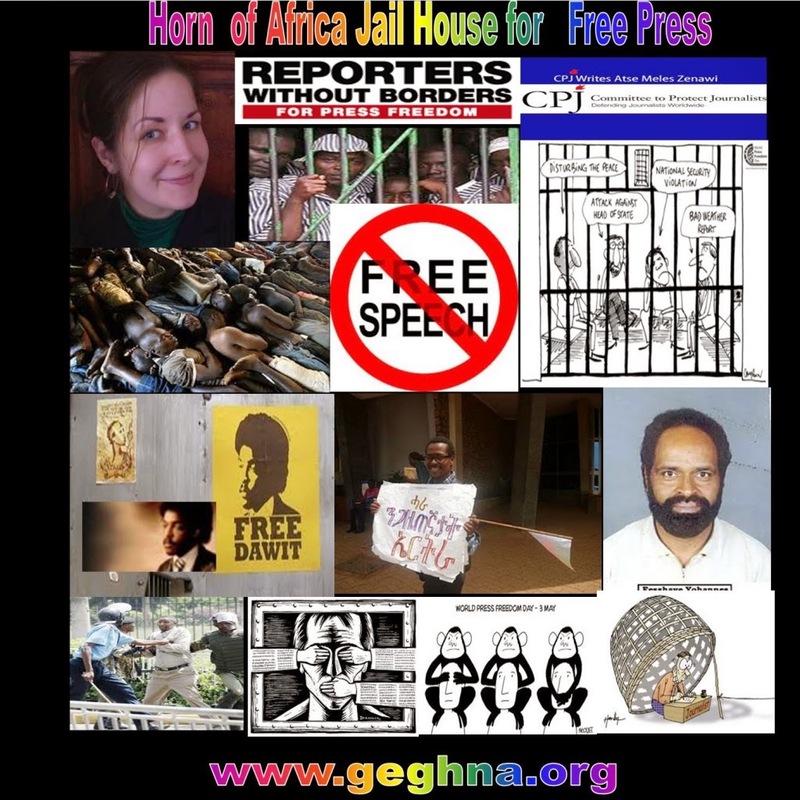 - Urges Ethiopia’s journalists and media owners to step up cooperation to improve professionalism and independence, and to form a unified front to defend press freedom. PRESS FREEDOM IN ETHIOPIA IPI/WAN-IFRA Press Freedom Mission Report | November 2013        OVERVIEW  From Nov. 3-6, 2013, the International Press Institute (IPI) and the World Association of Newspapers (WAN-IFRA) carried out a joint fact-finding mission to Ethiopia, where five journalists have been imprisoned since 2011 and numerous others have been tried in absentia under the country’s anti-terrorism law.  The joint mission met with editors, journalists, lawyers, politicians and bloggers as well as associates of the imprisoned journalists to discuss the media climate in the country. The delegation also held meetings with diplomats and Redwan Hussien, the government spokesman who engaged in a frank, two-hour discussion with IPI and representatives of another organisation, the African Media Initiative.  United Nations Statistics Division (2011 estimate), http://data.un.org/CountryProfile.aspx? 1 crName=ethiopia#Summary. Ethiopia is Africa’s second most populous country, after Nigeria. associates of the imprisoned journalists on the condition of anonymity.  At least two 2 journalists who initially agreed to meet with the delegation declined at the last minute, expressing concern that they might be under surveillance by the security services.  In a joint statement following the mission, IPI and WAN-IFRA expressed appreciation for the willingness of a broad cross-section of officials and media representatives to meet with the delegation but regretted that restrictions barred representatives from seeing the imprisoned journalists. IPI and WAN-IFRA also expressed appreciation for the Ethiopian government’s commitment to equitable and sustainable development in one of the world’s poorest countries. But the organisations also emphasised that strong news media, including an independent public broadcaster, play an invaluable role in achieving those objectives. 3   BACKGROUND  Ethiopia has had a history of government control over the news media, with state radio, television and newspapers serving as little more than mouthpieces for those in power during the reign of Emperor Haile Selassie and the military junta, or Derg, that followed him. After the overthrow of the Soviet-backed Derg, the transitional government introduced a new Constitution in 1995, with Article 29 providing for freedom of speech, expression and the media. But in practice the constitutional guarantees have provided little cover for journalists. 4  The news media – mostly newspapers and foreign-based Internet sites – did enjoy a period of relative openness in the decade after the constitution was ratified. Dozens of independent newspapers and opposition publications appeared in Addis Ababa, although many were of poor quality and struggled financially.  Also around this time, the first private journalism training schools began to open while Addis Ababa University expanded its journalism programme with international support. IPI sent representatives to Ethiopia in 2004 to help shape emerging media legislation, including a provision that for the first time allowed a limited number of licences for private radio stations.  Anonymous sources of information are not ideal in either news coverage or reports such as this. However, IPI 2 and WAN-IFRA agreed to guard the identity of the non-public officials interviewed for this report. Unless oth- erwise quoted directly, the comments and observations in this report are backed by multiple sources and/or per- sonal observations of delegation members.  The country has also ratified the African Charter on Human and People’s Rights and the UN’s Universal Dec 4 - laration.